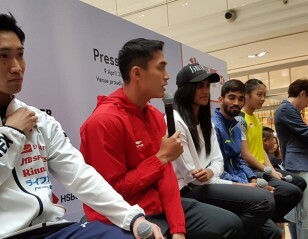 A Jonatan Christie special hit Istora Senayan today, blowing his opponent and HSBC BWF World Tour Finals champion Shi Yuqi out of the DAIHATSU Indonesia Masters 2019. 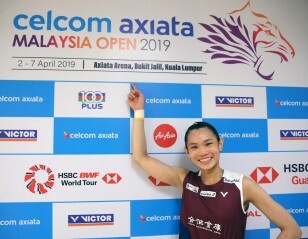 The home hope (featured image), who won the Asian Games gold five months ago, blazed away to glory from three game points down in the first game, with his opponent reduced to abject helplessness in the face of relentless attack, as he fell 22-20 21-6 in the second round. Christie’s victory will see him take on eighth seed Kidambi Srikanth (India) in the quarterfinals, Kidambi having eased past Japan’s Kenta Nishimoto in straight games. In the top half of the draw, Kento Momota (Japan) was given a difficult time by Denmark’s Hans Kristian Vittinghus, who ran him close in both games: 21-18 22-20. Momota will be up against the crowd tomorrow as he takes on home hero Anthony Ginting, who brushed aside China’s Zhao Junpeng 21-15 21-12. The other quarterfinals feature Chen Long (China) versus Viktor Axelsen (Denmark), and Malaysia’s Lee Zii Jia against another Dane, Anders Antonsen. 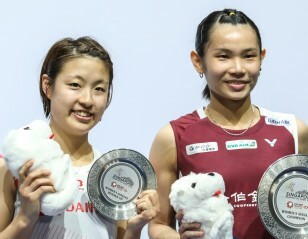 There was a prominent upset in women’s singles, with fourth seed Akane Yamaguchi’s (Japan) recent poor streak continuing as she crashed out to Thailand’s Pornpawee Chochuwong, 21-18 21-12. 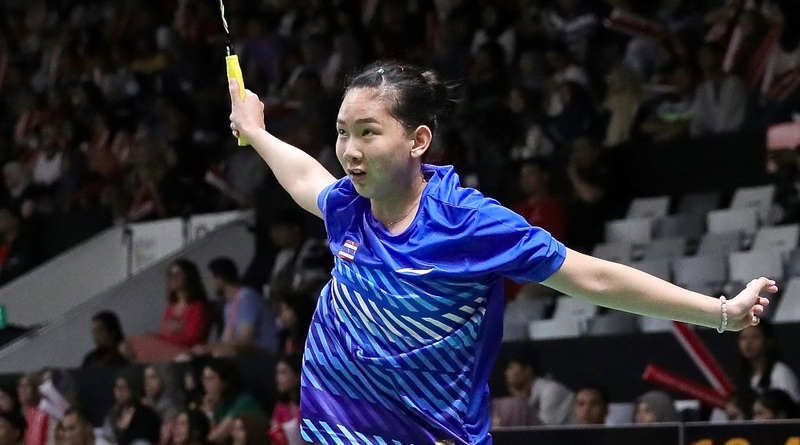 The Thai will be up against India’s Saina Nehwal, who had little trouble from Indonesia’s Fitriani Fitriani, 21-17 21-15. The bottom quarter will see a replay of the Olympic and World Championships finals, with Spain’s Carolina Marin taking on India’s Pusarla V Sindhu. 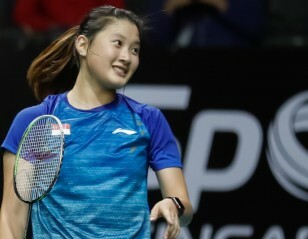 Marin had her hands full against upcoming Korean prospect Kim Ga Eun, 18-21 21-12 21-18, while Pusarla was stretched in the opening game by local hope Gregoria Mariska Tunjung, who however couldn’t sustain her challenge after falling behind. In mixed doubles, No.7 seeds Chris Adcock/Gabrielle Adcock (England) were beaten by Malaysia’s Goh Soon Huat/Shevon Jemie Lai, 21-19 21-23 21-7. 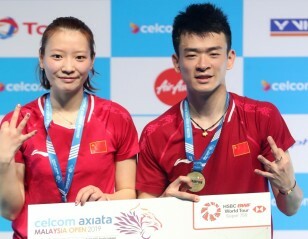 The Malaysians have a tough task tomorrow, as they are up against top seeds Zheng Siwei/Huang Yaqiong (China). The retiring great Liliyana Natsir eased into the quarterfinals with Tontowi Ahmad, the fourth seeds proving too hard for compatriots Hafiz Faizal/Gloria Emanuelle Widjaja to crack.